As the summer approaches, we discover London’s hottest kitchen trends. We talk to David Knights, who with his interior designer wife Achala, runs the London showroom of Minotti Cucine. This stylish Italian brand creates a “visual silence” within the home. 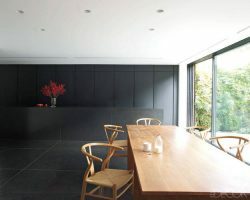 Its kitchens are sculptural objects in a pure, calm space. The kitchen used to be hidden away at the back of the house. Now it is bold and often the main focus of the living space. The key is open-plan, explains David. The family chef doesn’t want to be tucked away from the social interaction at parties or while preparing family meals. And whether it’s because people are inspired by Mary Berry, Paul Hollywood, Gordon Ramsay, or they are simply more budget conscious, more and more of us are entertaining at home. Islands: remain very popular. When a kitchen is extended or knocked through to make a large living space, the island becomes the central feature, almost a work of art in its own right. 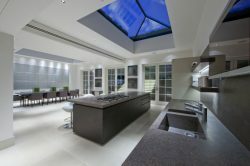 It can house the sink and hob, with a sliding top, creating a table or bar that family and guests can gather around. Lighting: it’s crucial to get this right. Downlights are essential to keep the work area bright, while interior lights mean no more scrabbling around at the back of cupboards. Drawers with fitted lights are fashionable these days, too. Open plan: everybody wants to incorporate living and dining areas into one big open space. This keeps families together and allows friends to gather. Appliances are hidden away behind carefully crafted doors. Inside-outside living: many people are making the most of their outside space with the arrival of summer, so they want indoor/outdoor living options with large, glass doors that open to a garden or a patio area. 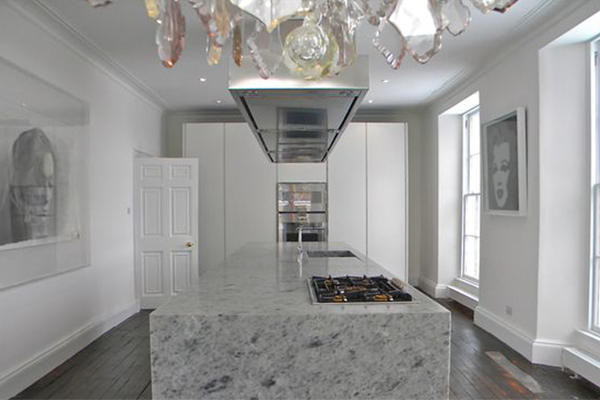 This drives the use of natural stone, wood, exotic veneers and most recently bronze in the kitchen. These finishes are timeless, whereas colour goes in and out of fashion. 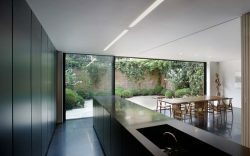 They also allow for a seamless transition from the inside to the outside. Gadgets: taps that deliver hot, cold, boiling and filtered water. This not only does away with a second tap, it also means there’s no need for a kettle or a water filter cluttering up the surfaces. Sinks: often come in matching marble or granite, so they are seamlessly part of the work surface. Open shelves: while this has been a popular feature in more country-style kitchens, an ultra-modern design has no need for pots or pans on display. The 2018 trend is to hide everything away. Colour: this can quickly date a kitchen. Yellows and orange are definitely retro. Greens and blues are last year. David likes to see natural materials and natural colours: brown wood, grey stone, black and white. Wall coverings should match or contrast with flooring and worktops. Accents of bronze can lift a colour scheme to a new level. Separate rooms: a formal dining room was once the norm – with a hostess trolley or a serving hatch – now we spend more time in the kitchen. So, we want it to encompass the dining area and the living area, too. Friends can sit around a kitchen island chatting, while mum or dad can come up with their latest creation, or children relax on the sofa, allowing the family to catch-up, while they browse their smart phones. Handles: just like colour, handles can date a kitchen. So, David’s designs are minimalist with sleek, streamlined units. Appliances on display: the large American fridge and the showstopper cooking range break up the serenity of a run of kitchen units. The aim is clean lines, so David’s solution is to hide appliances, and the oven, away behind doors. Kitchen design often comes down to personal taste, but one thing is for sure, style never goes out of fashion. You will find the Minotti Cucine showroom (minotticucinelondon.com) on Great Titchfield Street, just north of Oxford Circus, London W1.